“To Be Here” is the 28th release on Stars Are Insane’s Bandcamp page, but the first that I’ve heard. Mike Andriani creates guitar-based drones which bookend and backlight pop songs, using 4-track tape and layers of guitar. This is ethereal bedroom-pop which is heavily inspired by 90s lo-fi and shoegaze culture. 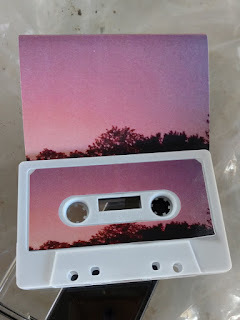 The cover art perfectly compliments the music: a silhouette of a tree-line against a purple sinset, one pinprick of light beginning to shine through the haze. The sounds warble and flow along the riverbed carved by tremolos and tape-delays of the past, propelled by lazy drum machines and oscillating drones. Vocals are not always present, and often sparse. The lyrics reflect upon the passage of time and the changes which occur within ourselves and among our relationships. Sometimes the voice reaches just a bit out of key, but that only reinforces the bedroom quality of the recording. On the song “They Won’t Destroy Us” the guitars warp and bend against a steady progression, suggesting the feeling I get when staring at a flagpole against a flow of clouds. The pole threatens to fall and crush me, but never reaches and I float safely below. “Dream King” reaches into more propulsive territory, with a driving beat and squall of guitar. Still this short, restrained rocker doesn’t fly off into the stratosphere. In two minutes the dream is over and “Then There Was the Sky” drifts into the forefront, an instrumental composition of layered drones and melodies. Recorded in the fall and winter of 2016, “To Be Here” feels perfect for the cold twilight of those months, breath hanging in the air and stars twinkling more clearly. 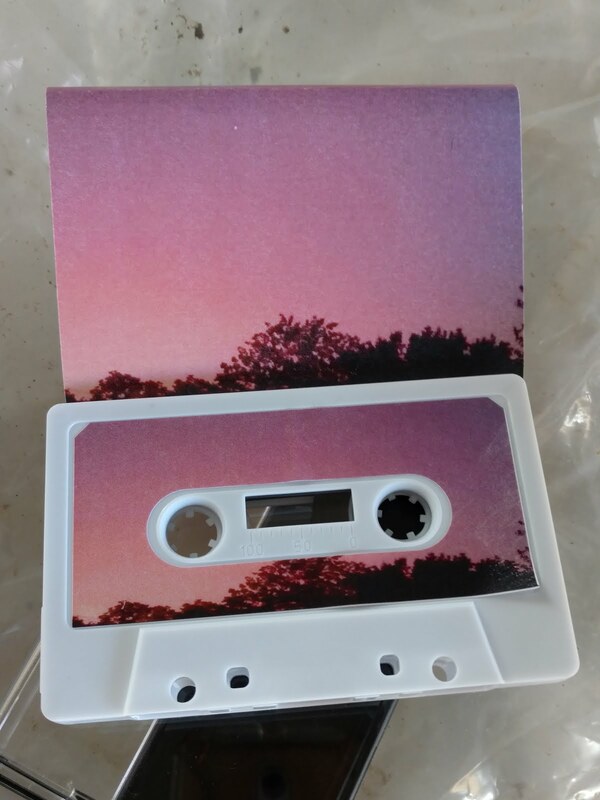 Andriani keeps the pace unhurried and lays blankets of guitar across the songs on this tape. This is DIY shoegaze at its chillest. Play this and watch the icicles grow.